The timing is right, the message is clear: women are harnessing their power to make change. 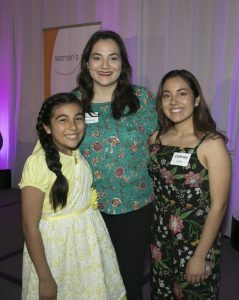 In the time of the #MeToo movement, and the realization that human trafficking is happening locally, awareness and hope gripped the 575 people gathered at the Community Foundation for Monterey County’s 13th annual Women’s Fund Luncheon. 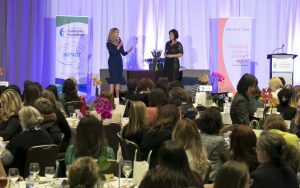 “Where we are is in a moment of real awakening – we are in a time women and girls of all ages are stepping into their own personal power,” Sara Hirsh Bordo filmmaker and keynote told a group of women, girls and men assembled to support local women and girls. Bordo is founder and filmmaker of Women Rising, and champions female voices in her work. View photos from the luncheon on Facebook. Everett Alvarez High School Senior Celeste Islas is one strong, confident voice of that power. She has been involved in GHGH since her sophomore year, and has enthusiastically embraced GHGH leadership roles. She has gained much from her involvement, evident from her powerful and captivating public speaking skills. “With the organization’s help, I had a safe place to eat and stay during lunch, practice skills needed for personal development and learned to become in tune with my spiritual, physical and emotional health,” Islas shared. 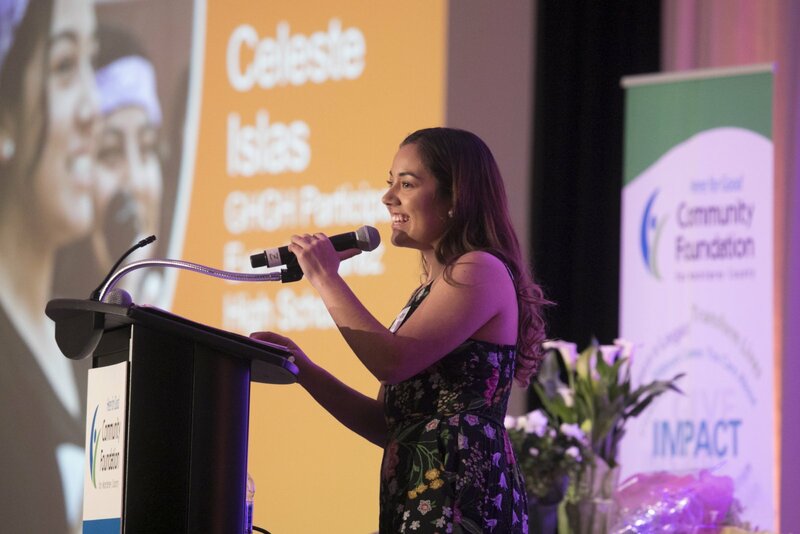 Islas is also a scholar with a 4.3 grade point average, President of the National Honor Society and has nine acceptance offers for college admission – including University California, Berkeley where her two aunts, Lilybeth and Bella Chavez attend. While not able to make the lunch, they provided a glimpse into their school lives in a video played at the luncheon. Since 2001, the Women’s Fund of the CFMC has granted $1.9 million to organizations working to improve the lives of women and girls in Monterey County. The endowment has grown to $1.7 million, assuring that critical issues, like health, economic security and educational advancement receive support in the years to come.